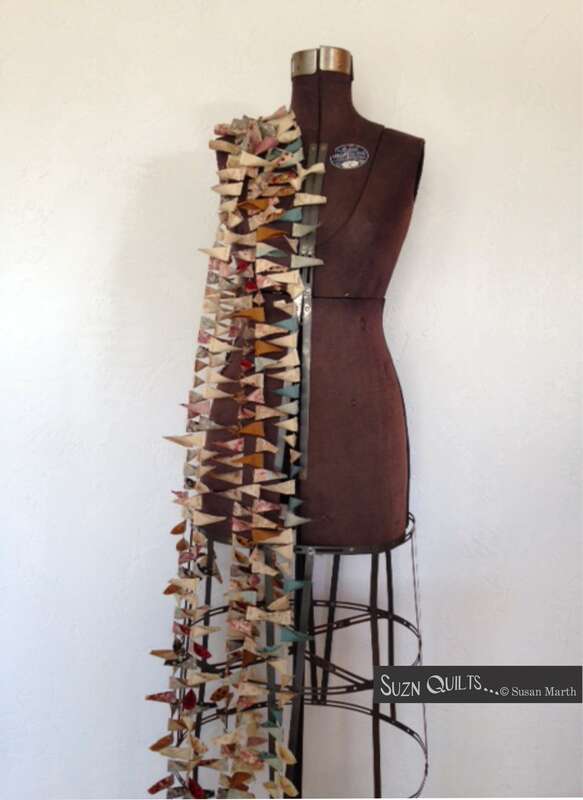 New ideas | Quilting my way through life! I cut my entire New Hope jelly roll by Jo Morton into Tiny Dresden petals. could I get more petals from each strip by not first trimming it to 2″??? 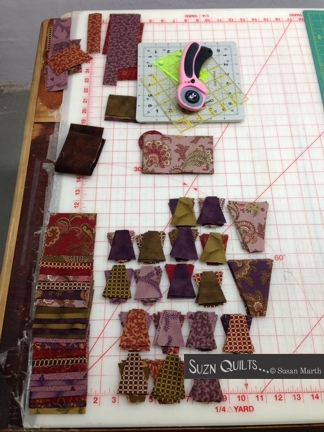 So, I laid out a bunch of my Tiny Dresden Templates on a strip side by side as if I had trimmed the strip to 2″. Then I laid out a bunch more of my Tiny Dresden Templates on another strip, staggering them to the edges of the strip. I can get 5 more petals from each strip if I slide the template to the opposite edge of the strip as I cut! compared to 41 petals x 40 strips = 1,640. That’s 200 more petals from the same amount of jelly roll strips! or 33.3 more half Tiny Dresden plates! So, I stacked up 4 different color fabric jelly roll strips and started cutting. After I cut a few I decided my 60 mm cutter might work even better than my 45 mm & I was right. I lined up the template at the edge of the selvage and sliced it off the strip. Then I cut along the top of the template. Then I cut along the other side of the template. I then rotated the template to the opposite edge of the jelly roll strip. Then sliced it off the strip. Then I continued to rotate the template down the strip. When I got to the end of the strips I opened the folds and stacked what was left of each strip and usually cut one more of each fabric. A few of the fabric strips were not long enough to cut one more petal, but the majority of them were long enough. A jelly roll worth of Tiny Dresden petals. Now I’ve really got my work cut out for me, lol!!! A great way to spend a super cold January day. I’m Making Stitches, Are You? I know I’ve been neglectful of this blog the last few months. I’ve been busy & you must have thought that I had dropped from the face of the earth. In fact I’ve been working A LOT! but this time of year I pop my head up and wonder where summer went! I recently finished a new Tiny Dresden little quilt. I used an American Jane charm pack plus a cute black dot print. I’ve also been writing instructions for these feathered star blocks. I designed them just the right size to have a Tiny Dresden plate appliqued in the center! 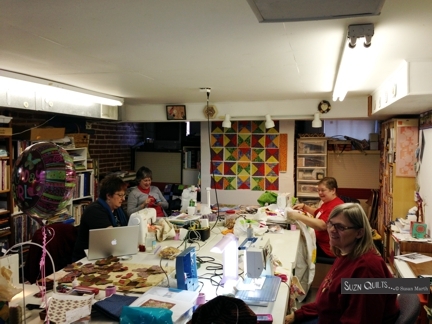 Have you made a feathered star quilt before? Do you think they’re hard or do-able? I once thought they were extremely difficult, but no more! You’ll think so too when you get one of my patterns, not any day soon though. and the rest of the pattern written. and I think that I have all of the step-by-step illustrations just about perfect! Your pattern was very easy to follow . . . it was like you were sitting here telling me what to do next!! I like that! Have a blessed day . . .
Needless to say, in my opinion, that’s the nicest compliment a designer/author can get. It’s also the affirmation that I needed just then. I had just spent on those illustrations for just part of that pattern was nice. hence the reason I put it on the back burner to work on my sampler quilt. We’ll all be surprised together, Lol!!! 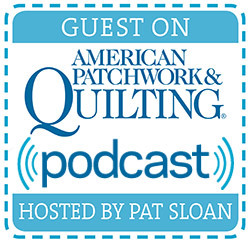 What have you been stitching? 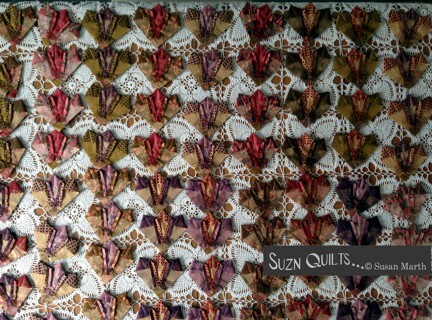 newest volume of Quiltmaker’s 100 Blocks magazine. Dresden Framed #1348, is on page 35.
you get a beautiful Mini Dresden plate with pizzazz. 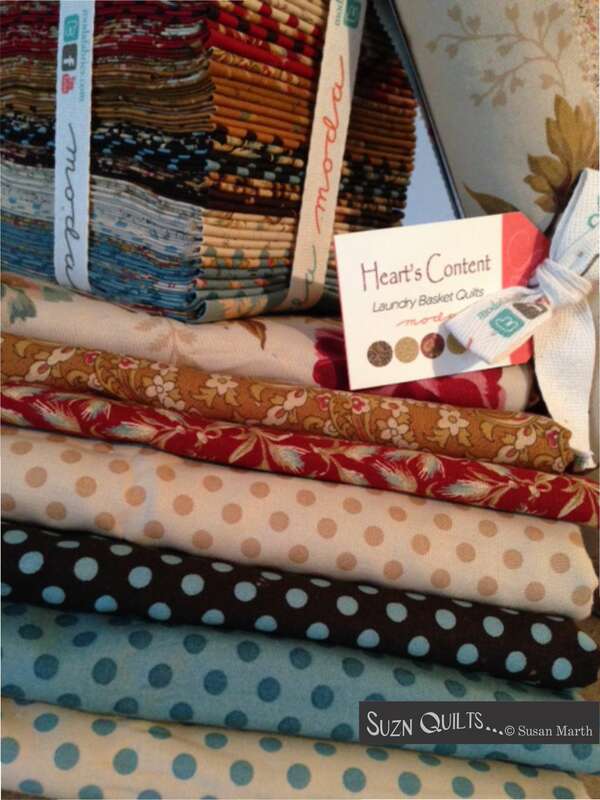 I used the new “Pumpkin Pie” fabric collection by Laundry Basket quilts for Moda. (all but the olive green which is a Jan Patek also by Moda). I love to make little Dresden plates! 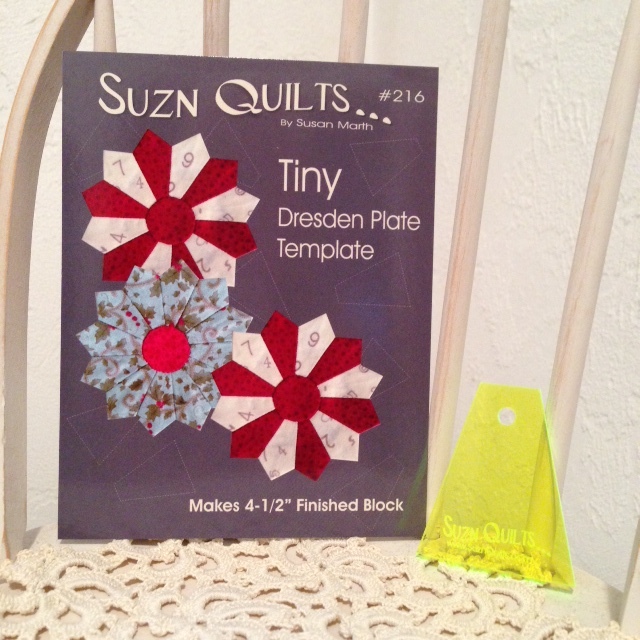 This block uses my Mini Dresden Plate template. You can purchase them on my website here. How about a pretty table runner? Cut 13 sashing strips 1 1/2″ x 12 1/2″. Cut 10 corner stones 1 1/2″ x 1 1/2″. Make a 14 1/2″ x 53 1/2″ table runner. Perhaps you’d prefer to make a lap or wall quilt. Cut 40 sashing strips 1 1/2″ x 12 1/2″. Cut 25 corner stones 1 1/2″ x 1 1/2″. Make a 53 1/2″ x 53 1/2″ quilt. Here’s a little Dresden plate tutorial. This block makes perfect use of 10″ layer cake squares! This is the gorgeous “Autumn Elegance” layer cake by Sentimental Studios for Moda. 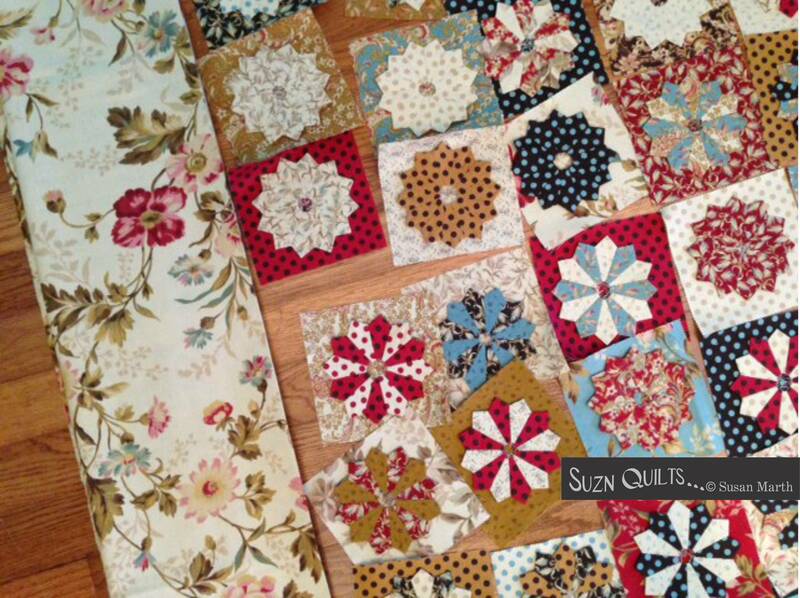 Choose 4 squares and press them with Mary Ellen’s Best Press. With 1 square, cut 2 strips 3 1/2″, subcut 10 petals with the template. 2 more petals will need to be cut the other direction from the remaining strip so be sure and use a non-directional print. After cutting 12 petals, there will be a corner left over to cut a center circle for another plate. Fold each petal in half chain piecing all 12 petals using a scant 1/4″ seam. Trim away most of the seam allowance near the fold, then press the petals flat as sewn. Turn them right side out, carefully poking out the points, then press them again. A little tray helps me transport ALL of the petals to my ironing board and back again. Chain piece the petals together in pairs, again using a scant 1/4″ seam. Press the seams open, then chain sew 2 of those pairs together. Be sure to press all of the seams open. Give another press with more Best Press using the single finger pump bottle. It sprays with a fine spray that doesn’t over saturate the little pieces. I spray both sides of the plate, but only press the back side. If you’ve used scant 1/4″ seam allowances your plate will lie perfectly flat. If it doesn’t lay flat, you need to adjust your seam allowance. Using the pattern in the magazine, cut a 2″ circle of freezer paper. Fuse it to the wrong side of another 10″ layer cake square. 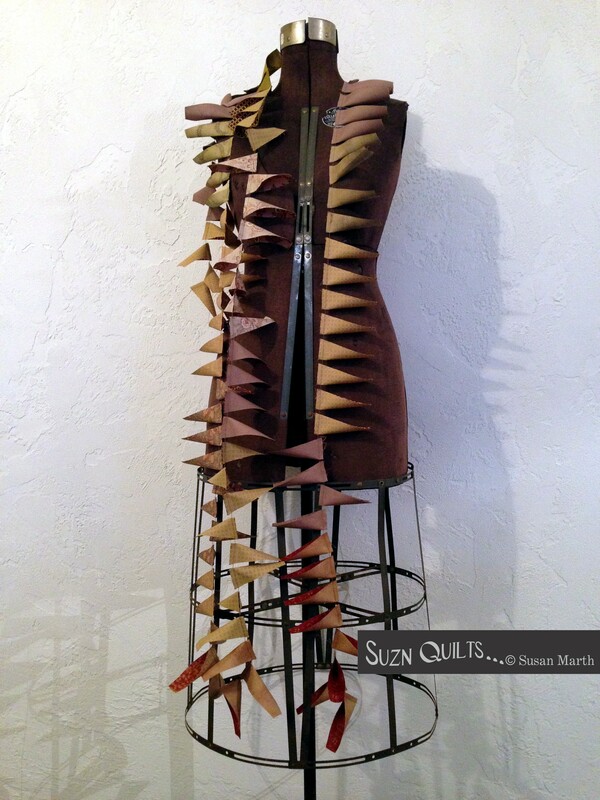 Cut out with a 3/16″ seam allowance. Glue the edge of the seam allowance with Roxanne basting glue. Press glued seam allowance to paper side of template. I’ve been using this same plastic coated brochure from Classic Metal Company for over 2 years! I know because I bought one of their big metal barn quilts and have been using this brochure ever since. It protects my table and my glued pieces don’t stick to it. After all this time, it’s still like new and all I do is brush off the loose glue once in a while. 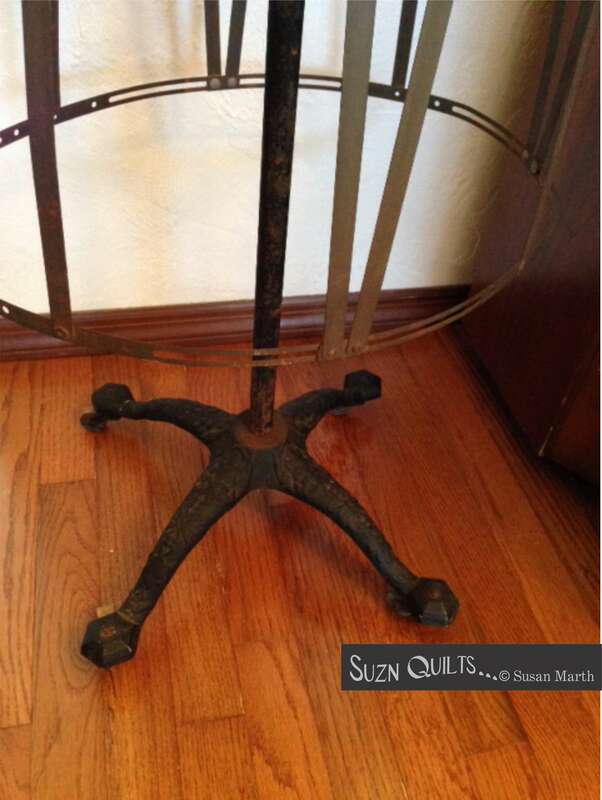 Next week I will be giving away 2 cool new products that they now have in addition to their metal barn quilts. I’ll give you a hint; they light up! Easily work out any imperfections with Apliquick bars like I show in detail here. Center and glue the circle on the plate. Stitch the circle in place using thread that matches the circle. I use a tiny blind hem stitch. You can hardly see it, right? Wet the center circle and let it rest a minute. Remove the freezer paper through the hole in the back of the plate. Don’t press the wet plate, that will distort it. using 2 more layer cake squares. I like using Thangles. They’re quick and accurate. Cut the 4 corner squares. Assemble the block following the instructions in the magazine. I use the same tiny blind hem stitch to applique the plate to the center of the background square. I got so caught up in finishing the block that I forgot to take photos of that part, sorry! & started watching when Jo came home to spend time with poor sick Beth. Movies often keep me company while I sew. I have a library of movies that I listen to over and over because they’re not so distracting that I can’t sew, well, usually! it only takes about an hour to make one of these blocks. It looks lovely with my front yard’s fall colors don’t you think? Sorry the drawing is over now. telling me if you’ve ever made a Dresden plate. I will be having a second drawing as well. but also the remaining layer cake to make more blocks with! let me know that in your second comment. 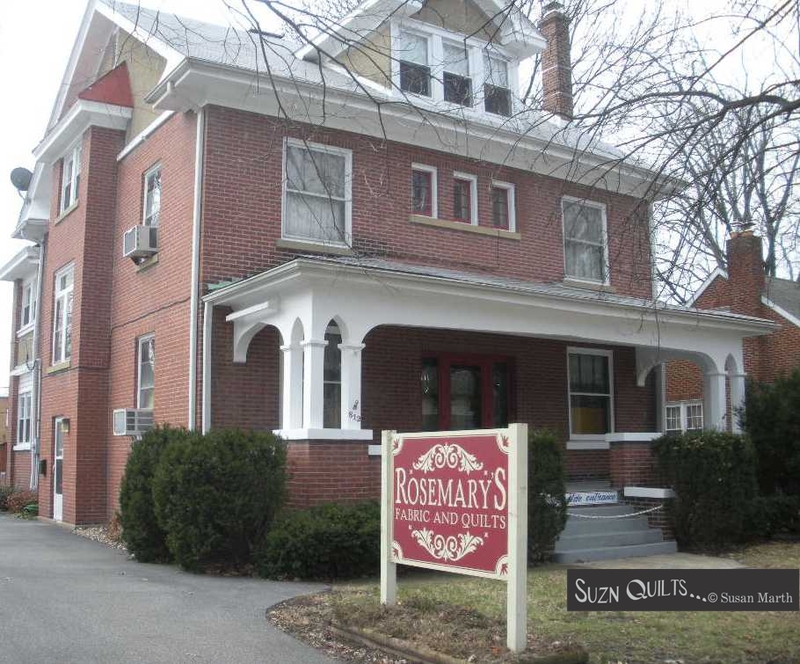 & Quiltmakers’ Quilty Pleasures blog for more fun and many free prizes. I will choose the 2 lucky winners this Saturday. Be sure & tell all of your friends. I forget that some folks may not share my painless path. I was reminded of that this week by Cheryl via email. She & some friends are working on my Dresden Heaven pattern that I was just discussing with you a few days ago. They were curious why their plates were not lying flat. I told her that their seam allowances were not a true scant 1/4”. If your seams are not exact & you sew 12 of them around the entire plate it adds up! I noticed this phenomenon while teaching a workshop a while back. Luckily I had with me a story board that I use to show how a plate goes together so my students were able to lay their sewn petals on my board to see if they were sewing accurately. Anyway, that gave me the idea to make a diagram so my Dresden-sewing-friends could easily measure their sewn petals. Not so easy going from the shape of the template to the shape the petal takes on after the first seam, then trying to put a seam allowance on just one side of each petal all with bias sides, ugh! But I did it and each pair I made today (92 so far) all fit perfectly. It’s not magic and I’m NOT Wiley Coyote Super Sewing Genius either! 1. Start with starched fabric (before you cut any strips). 3. Sew with a scant 1/4” seam allowance. 4. Trim each petal as indicated in my patterns. 5. Starch again when the plate is complete. I plan to make these diagrams a part of each of my Dresden patterns from today forward. I want everyone to enjoy making little Dresden plates as much as I do! I will put this page on my website if I can but for now if you’re working on one of my patterns just send me an email and I will email you a copy of this sheet to print out. These diagrams will only work for you if you’re sewing one of my patterns because I made them based on the exact sizes of the templates that I designed which just so happen to be for sale on my website: SuznQuilts.com. Now back to sewing for me. I’m making wings (pairs of petals). It’s the perfect exercise for today’s lesson on accurately sewing 2 petals together! I’ve started with my new Pumpkin Pie fabric. I think maybe Jan Patek designed this collection just for me. It is in the gray/green family, but it’s definitely blue. Also included though is charcoal, gold, olive, ecru & red. I think I’ll just look at them a while longer. so I’m ready for dinner when the time arrives.